Discussion in 'Criminal Charges' started by JAT1, Feb 10, 2019. I recently was elected to our HOA board and there are a couple of people pissed off about it. 3 days after the election, I received an email from one of them with a strange message that appeared they were responding to an email from me. I had no idea what they were talking about because I hadn't send them an email. I looked further down in their email and there appeared to be an embedded email where someone had impersonated me, sending them an email from an email address that closely resembled mine. The email had been signed with my standard email "signature." I honestly can't tell if someone actually sent it to them or if they created it and just inserted it into their email. It bothered me and I decided to just wait to see what happened. I did tell them I didn't send the email though. A few days later, another email was sent out to our entire HOA email distribution under an email address that again resembled a different email address I use. They "signed it" using my standard email signature again but with a note below that said I didn't approve the message. It was derogatory in nature. A few days after that I received an email from an HOA member who was very open as to who they were, basically telling me to "pound sand" and to send any correspondence to some address in another state. Then they proceeded to send me no less than 8 vulgar messages in less than an hour. They put every HOA member on those emails. It was embarrassing as Hell!!! Another message compared me to Hitler and being a Nazi. I kid you not!! I'm really a nice person and am not an extremist HOA person - not at all and haven't even had a chance to get my feet wet in the HOA. I'm 65 years old and don't need this crap but I will not resign. I was just shy of being voted in unanimously so I know the neighborhood supports me. It's just these 3 individuals. I've turned over the anonymous emails to a computer expert and they feel confident they will be able to trace them back to who sent them. 1. Should I call the police and if I do, will they do anything about it? 2. What do you think I should do? Seek a restraining order for the one person who sent all the excessive, vulgar messages? 3. Do I have any kind of case at all for impersonation if I find out who sent the anonymous emails? This is so damned ridiculous! I can't believe how childish some people are. I would normally ignore it but honestly I'm beginning to wonder if I should fear for my physical safety. These people are nuts! That is a decision you must make under your own auspices. 2. What do you think I should do? You should do what YOU wish to do, but don't act upon the advice of strangers! Seek a restraining order for the one person who sent all the excessive, vulgar messages? Unless you can PROVE who sent the alleged emails, there's very little anyone can do. 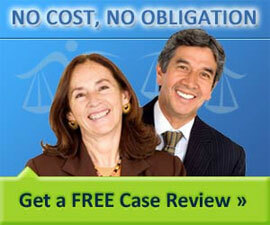 I suggest you seek the counsel of a lawyer KNOWN to you licensed to practice in Texas. For example, I am a lawyer licensed to practice in Texas, but you'd be a fool to take legal advice from any stranger. That is precisely what I would do, ignore this nonsense, and resign from the HOA immediately. I would then sell my property and purchase a home where no HOA board treats a homeowner as if he/she was a renter. This is just another reason why it is foolish beyond belief to me why people insist on buying property to be oppressed by some lousy, two bit, thieving developer. Ahh, but you can be as smart as you desire in the USA, or as stupid as a sheep. Thank you for taking the time to answer. I really wasn't counting on "strangers" to tell me what to do. I just wanted to get a feel for what various attorneys might say. I can prove who the vulgar emails were from. I'm having the other examined by a cyber security expert. Selling my house and moving isn't an option. Honestly, there have been zero problems with the HOA in here. They are very reasonable and have been incredibly accommodating to everyone. The problem is there are 3 people who thought they were going to get elected and run the show. They are the only ones that are pissed and are now taking this out on me. Up until today I was the only one they were basically harassing. Now they are beginning to target another board member. I will not quit. I've never quit anything in my life and I'll be damned if a couple of nuts will run me off. That's exactly what they want. That is entirely up to you, mate. The world is replete with scum, vermin, psychos, and felons. I wouldn't bother with law enforcement. What you describe is a civil issue and if there is anything to do an attorney should be able to review all the details and see what is appropriate. It really depends how solid the evidence is that pins the emails on one person. My suggestion is to ignore it. If you don't reward the behavior with a response it should go away on its own. Texas does have statutes that encompass harassment and impersonation via electronic communication. Is it your opinion law enforcement will do nothing about this? We have the vulgar emails and absolutely know who wrote them - the person didn't even try to hide their identity. An initial review by a computer person indicates that they are the same person that sent the emails pretending to be me. However, we're going to have a cyber security expert take a look at it to confirm. I know it seems minor but it's still a crime and honestly, I'm not sure one of these nutcases won't come after me. Can you elaborate on this being a civil issue? Is it your opinion law enforcement will do nothing about this? It is my opinion you will have great difficulty proving who sent the messages. It is far easier to choose not to respond than to pursue legal action. I doubt law enforcement would invest any resources into this issue. I doubt law enforcement would invest any resources into this issue. In some of the less populated regions of our Republic of Texas, you bet your bippy this would get investigated, especially if one is connected. In the larger cities of our Republic, say San Antonio (Bexar County), this type of THING would be ignored. Ok, thank you very much for your help. Not sure which course we'll pursue but might take a wait and see approach to see if anything else shows up. I'm just not sure I trust these people not to intensify the harassment. Please keep all of your posts on the topic in ONE thread. Writing a small novel with all kinds of emotional commentary simply discourages people from reading it. Ok, Highwayman. I will move this to my other thread. I didn't realize that would be an issue. In regards to writing a small novel, I'll try to pare it down. I could have written a large novel and was trying to keep it brief. I wasn't sure how much information I should provide. Thank you for your help. In regards to my above situation, I thought if I didn't respond the guy would cool down and the harassment would stop. Well, things have now escalated to physical violence. This person became very angry over some maintenance work that was being performed in the neighborhood even though I had notified everyone it was upcoming. All seemed quiet until the work actually began. The person literally stalked my wife and I down outside of our neighborhood while we were out for a walk and physically and verbally assaulted us. We called 911 and my wife captured the incident on her phone. The sheriff talked to us, then him, looked at the video and only wrote the person a citation. No arrest. I spoke with a Sergeant who read the report later in the day and he said he was shocked the officer didn't arrest the person. So, now we're trying to figure out how to get the citation overturned because we were told we could. We are scared and trying to figure out how to get a protective order. We are truly concerned for our physical safety and the safety of others in the neighborhood. The other question is this: Can we file a civil suit against him for assault? And what kind of attorney do we use? Civil Litigation? Personal Injury Attorney? Advice anyone? Anything you offer up would greatly be appreciated. We are definitely seeking advice from a local attorney but I wanted to ask some experts here, too what they think. Highwayman....is this better? Thank you for your help. We live in Bexar County but in a small town. I guess we'll just see what happens for awhile. Thank you! You'd still deal with Bexar County Courts At Law, or District Courts sitting in San Antonio. I'm sure your HOA has an attorney on retainer. You might wish to speak with the attorney in your official capacity as a board member, assuming the majority of the board endorses the visit. I'd bring it up in executive session, and see what the other members suggest. I'd also investigate liability insurance based upon your official position as a board member. If the violent messages stop, the lawsuits often commence. So, now we're trying to figure out how to get the citation overturned. It is like a damned three-ring circus with no one really able to help us. One sheriff told us that it absolutely can be overturned and to contact the officer's sergeant. Trying to find that information out is like pulling teeth. We are not only frustrated but scared! Make an appointment with the High sheriff or the Under sheriff, and discuss all of your concerns. Do be succinct, state only issues, and ask for whatever relief you believe is appropriate. Before you meet with the Sheriff, you might wish to visit the prosecutor. If you dislike disappointment, simply ignore the person, and avoid him at all costs. yeah, yeah, yeah, you've got rights. If you value your LIVES over rights, no one cares more than you do about your life. As suggested earlier, unless this jackball shoots you, stabs you, or bombs you; the law will do very little to him. I wouldn't beef the deputy. In Texas, unless a felony is committed, our law enforcement's hands are tied. Yours are too, because Texas has no citizen arrest laws. We simply want to be protected against this guy, however, we're certainly aware that he can walk right through a protective order. The bigger fuss you make, the more mess the miscreant will create. the demon knows how far he can go, and he's gloating over how upset he has made you. Be smart, avoid him, ignore him, don't play into the demon's silly, reindeer games! Thank you for responding. I appreciate your honesty and bluntness. We're just kind of at a loss as to what to do. You've given us a lot to think about.